[OPINION] Cynthia Gibb: Idle No More! This month’s devastating hurricanes got Cynthia Gibb thinking. 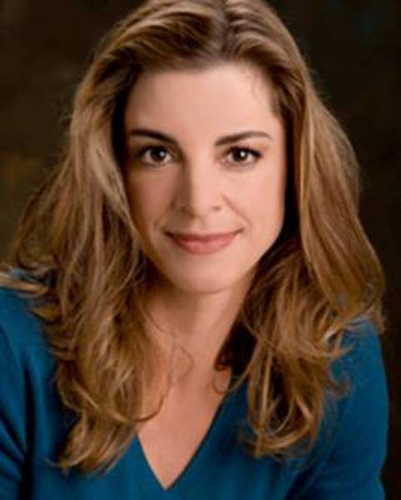 The 1981 Staples High School graduate — a noted actress (“Fame,” “Search for Tomorrow”), now a vocal coach back in her hometown — is concerned about the worldwide impact of climate change. America has just experienced 2 historic storms back-to-back, and I am feeling frustratingly helpless. Climate change is here. I have known this was coming for a long time. I learned about global warming back in the mid-80’s when I joined a group called Earth Communications Office, a Hollywood group with the mission of educating Americans about the changes in our climate. Everything I learned back then has unfortunately been coming to fruition. That means that still ahead are horrific droughts, fires, floods, the extinction of many animals and insect species, the movement of our tree line north (affecting farming and quality of life for all who live in the south) — among other catastrophic events. Last spring, at the Staples High School science awards ceremony, a scientist told the audience that we could expect to see Miami underwater in the foreseeable future. I wonder if he knew it would happen so soon? I get overwhelmed by this knowledge. Climate change deniers sit in the White House, and run the EPA. Trump has said he will pull us from the Paris agreement. Pruitt wants to roll back environmental laws. It’s terrifying and infuriating. Yet one thing that gives me hope is that there are forward-thinking folks, making a difference. Some of them are right here in Westport. Our RTM recently passed the Net Zero in 2050 Initiative. We’ve joined the governors of Connecticut, New York, Massachusetts, Rhode Island, Vermont, California, Colorado and Washington in pledging to exceed the goals of the Paris Climate Accord. In fact, the northeastern states have already reduced their carbon emissions by 37% since 2008. Earthplace has screened the documentary “Idle Threat.” These are great starts. 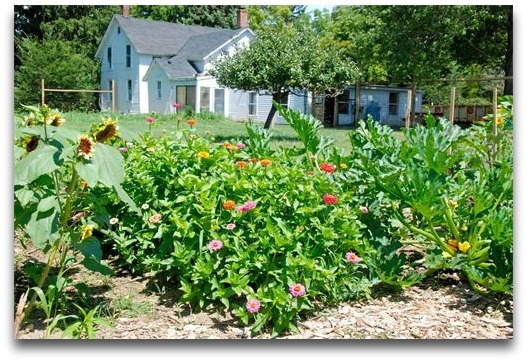 Wakeman Town Farm is evidence of Westport’s strong environmental concerns. But the solution has to come from citizens, as well as government. I’ve been asking myself, “What can I do?” Cash donations to flood victims won’t stop future disasters. In his new book Climate of Hope, Michael Bloomberg encourages everyone to do their part. I have finally figured out what mine is: I am making a conscious choice to obey Connecticut’s Do Not Idle Law. I recently learned it is illegal for all vehicles — including buses, trucks and passenger vehicles — to idle for more than 3 minutes in our state. After just 10 seconds of idling, we waste more fuel than stopping and restarting our cars. Even in cold weather, engines need only 30 seconds to warm up. So I no longer idle in the school pick-up line, or the Starbucks or bank drive-through. If I want to continue a phone call or listen to the radio, I turn off my engine and turn on my battery. If it’s hot, I roll the windows down. If it’s cold, I leave them up! It’s really easy and simple, now that I’m in the habit — like remembering to bring my reusable bag to the grocery store! I feel better now that I am doing my part and setting an example for my kids that we can change our behavior, even if it’s inconvenient. It’s a small gesture, I know. But if 26,000 of us do it in Westport, we can set an example to the rest of the nation — where every day we waste 17 million gallons of fuel due to idling. This is also important for children in our town, who can suffer from asthma and other respiratory diseases due to car emissions. This is a call to action, fellow Westporters! I invite anyone reading this to join me in turning off your engines whenever you can. After all, there is only one ozone layer. And we all share the same air. 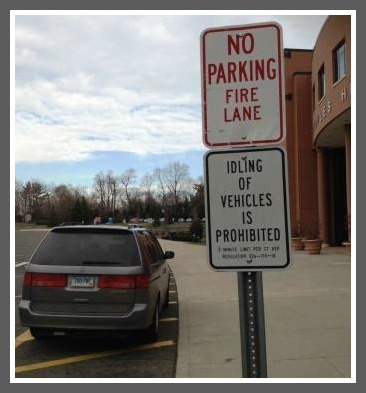 This entry was posted in Arts, Entertainment, Environment, Local politics, Organizations, People, Staples HS, Weather and tagged Connecticut no-idling law, Cynthia Gibb, Net Zero by 2050, Westport RTM. Bookmark the permalink. Good idea..turn off the engine at the ATM. I see people idling in cars & school buses everywhere – in front of stores, at the river, at the beach and train station for starters. It’s mindless and unnecessary for the most part. It would help to have a campaign of sorts about this ~ I’m betting most folks aren’t aware of this. This is what prompted my letter. The most astounding is when there isn’t even anyone in the cars! Every Westporter who is buying a new car should get a hybrid or plug-in electric. Their carbon footprint is much less than that of a gasoline powered vehicle. That would be great – and someone should make an electric SUV; Elon Musk, founder of Tesla, should be making one instead of a ‘driverless car’- the need is much greater for more electric cars than it will ever be for something I don’t think I will ever even want, like the ‘driverless car’. There are hybrid SUV’s.. The Toyota Rav 4 isn’t terribly expensive (by Westport standards ) Mine gets 36 mpg. Once again, so proud of a Staples graduate (even ‘tho I didn’t have the chance to go there when growing up in Westport). Cynthia has it all right and is a great example of the intelligent activist attitude which has always made Westport shine. Good on you, Cynthia! We all need to find ways to help, given the inability of so many of those in power, political and commercial, to recognize the dangers we face, and the consequences of inaction. Don’t any of them have grandchildren they love? What will their legacy be? Cynthia, thank you for this. Consider ending the giant cruise ship business, not just to the Arctic, everywhere. Check out http://www.thisspaceshipearth.org. David Houle is a futurist with an amazing background. He is a co-founder of this organization who more recently presented to NASA. This Spaceship Earth examines how these major environmental shift are impacting coastal communities throughout the World and how people can make small responsible changes which are impactful. I understand there is a law disallowing idling for more than 3 minutes anywhere – I have never seen it enforced, however. I almost always turn off my automobile engine – if locked in a garage with an idling engine one would be dead in, what, 15 minutes or so? Of course its dangerous! Why are they still being made? Electric engines, Homes with auxillary, subsidizing wind and solar power and we could save the planet, maybe – right? Just a thought. I’m from a developing country, where there’s so much pollution and rampant environmental destruction because people are just too poor or uneducated to care. I am continually shocked that educated people in these US of A, especially the successfully and presumably well informed citizenry of Westport, seem equally passive about protecting our planet. Since movie here in 2009, I have been trying to work with the schools, the YMCA and the town on it, with very little tangible success. Just last week, I spoke to SHS principal James D’Amico about it (with 11 cars idling a few feet from us! ), but he had other priorities. And after hearing members’ persuasion and complaints for two years, the Westport Weston YMCA finally put up those “no idling” signs, but people still idle there. Many places have those signs, but no one pays attention to them, and there’s no enforcement…anywhere, ever. One solution could something as simple as working with the school PTAs to have a few large A-frame signs (2×3 feet) on the sidewalk where parents pick up and drop off at all the public schools. Those signs would be significantly more visible than the small signs. One may even hope that these larger signs will catch the attention of children, who will then remind their parents about not idling. Who has suggestions about what to do next? What department do we contact? Who at townhall would care? One of my biggest pet peeves! Thanks for shining a light on this, I’ve been known to ask people I know and don’t know to please stop idling:). Such a simple thing to do, not idle….